Is your hand begging for pizza? Your mediocre old hand really isn't that lovable, so why not turn it into an adorable, wrinkly pug? 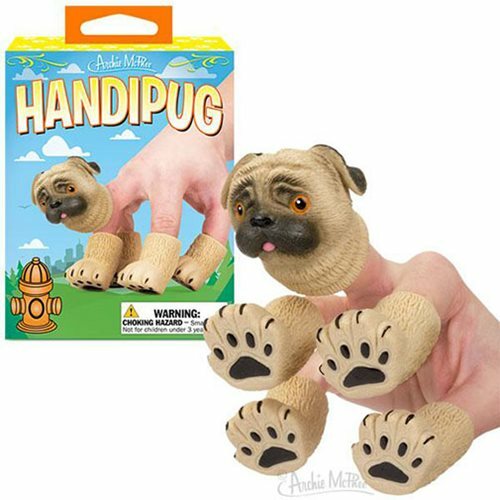 This set of five soft vinyl finger puppets, one 2-inch pug head and four 1 1/2-inch paws, accomplishes just that. Don't blame us if your hand starts to take long naps, beg for snacks and snore while it sleeps; these puppets are just that realistic. Illustrated box.